As with any type of business, you need to be professional at all times. Even though you are essentially being invited into a person’s home that doesn’t mean you need to become their friends. Your business should reflect its professionalism from the website, how you answer the phone and even your outgoing voicemail message. Your invoices should also look professional. All of this gives the people hiring you the confidence that they are dealing with someone who is trustworthy. You probably wouldn’t be able to maintain a contractor business by working on just one job at a time. That doesn’t mean you should overextend yourself. But in those instances where you do have more than one job, let your clients know. You should still try to make them feel like priority even though you can be at their job site all the time. You might not be at the job site throughout the day but your client will. That could mean they have all kinds of questions about the work in progress. Your function as a contractor is to do a little “handholding.” Explaining that the job is that work in progress and adjustments can be made will go a long way to alleviate their anxieties. The more detail you can put into your contract with your customer, the better off you’ll both be. 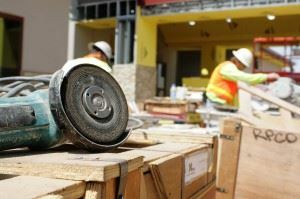 Not only should there be an itemized list of materials that will be purchased but also the specific details of the job. If it is not in writing, then they can complain about it later on. Whether you’re contracted for a bathroom remodel or kitchen makeover is no escaping the simple fact that you’re going to make a lot of mess. You can minimize the stress from the homeowner about “demolishing” part of their house by keeping everything clean. This is where Junk King Dallas can be a beneficial partner. These are the junk removal professionals who have a lot of experience with cleaning job sites. You can schedule them for a pickup at the end of your demolition day to make sure you come back to a clean workspace the following morning. When Junk King Dallas picks up and removes the remodel construction waste it’s one less thing you have to worry about. This entry was posted in Dallas Junk Removal and tagged Junk King, Junk King Dallas, junk removal, remodel on July 24, 2017 by Junk King. Last updated July 24, 2017 .